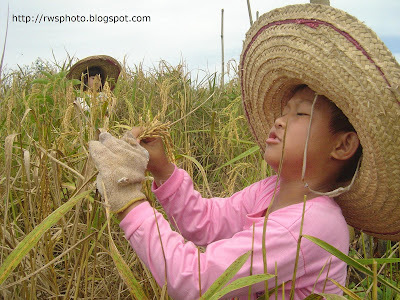 When most of the padi have ripen, it time for harvesting. 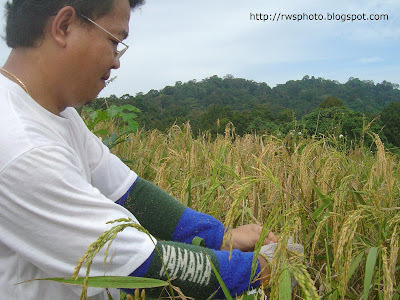 The Bidayuh called harvesting as "Ngutum" or "Ngutuom". 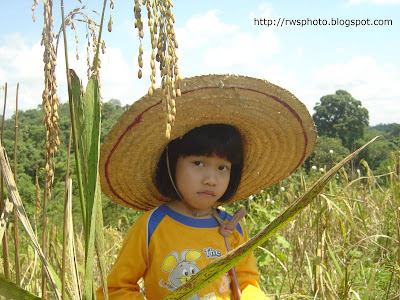 And this time is actually very hectic because the farmers are rushing to harvest as much as they can before the rain comes and also to beat the birds to the padi. You sure get sun-tanned very fast during padi harvesting. Little boy helping with the padi harvesting. Little girl helping with the padi harvesting.